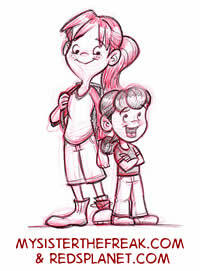 A little 5-minute sketch love for Faith Erin Hicks, creator of Superhero Girl, on her birthday … and mine. Tonight was a lot of fun. 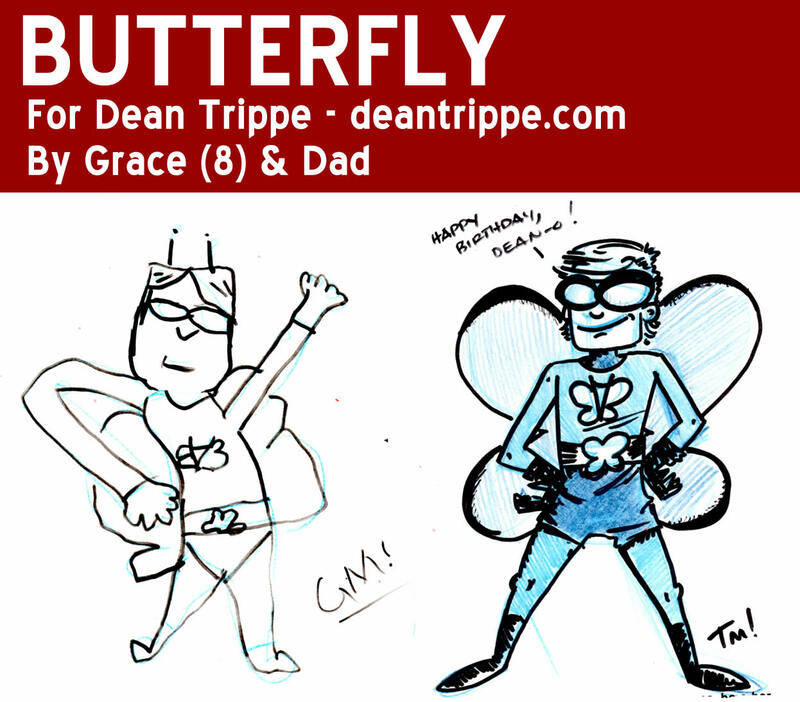 We drew Butterfly for our pal, Dean Trippe, who had a birthday over the weekend. 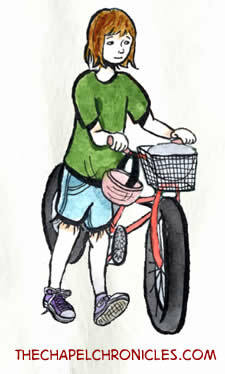 Dean is a terrific guy and a fun, imaginative artist we gush about constantly here. We’re not ashamed. We’re “Trippers”! Yeah, that’s right … it’ll catch on. 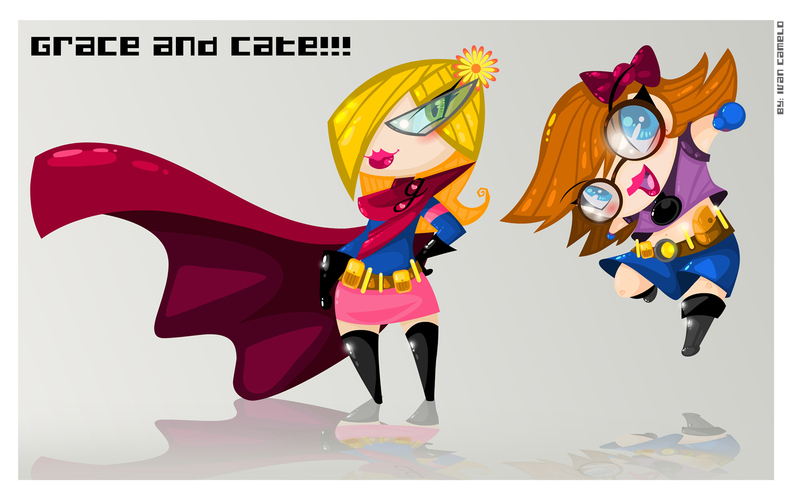 Saving Grace & Cate-Tastrophe by Ivan Camelo! Coolest. Post. Ever. 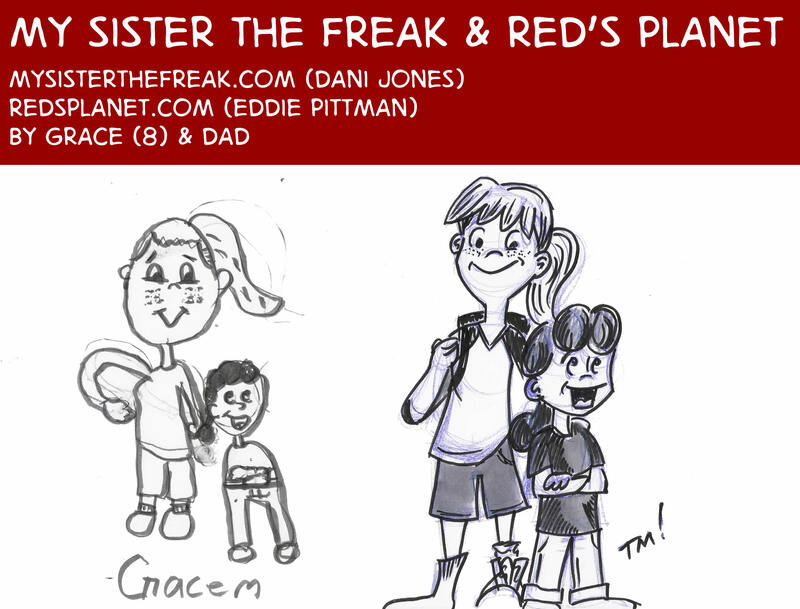 We got an awesome surprise tonight — a drawing of Grace and Cate in their superhero identitiesm, Saving Grace & Cate-tastrophe. Incredible art all the way from Bogota, Columbia. 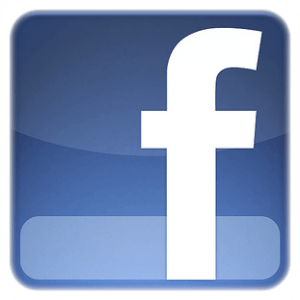 DC and Marvel, wise up and get this guy to do some merchandise for you, like right now! 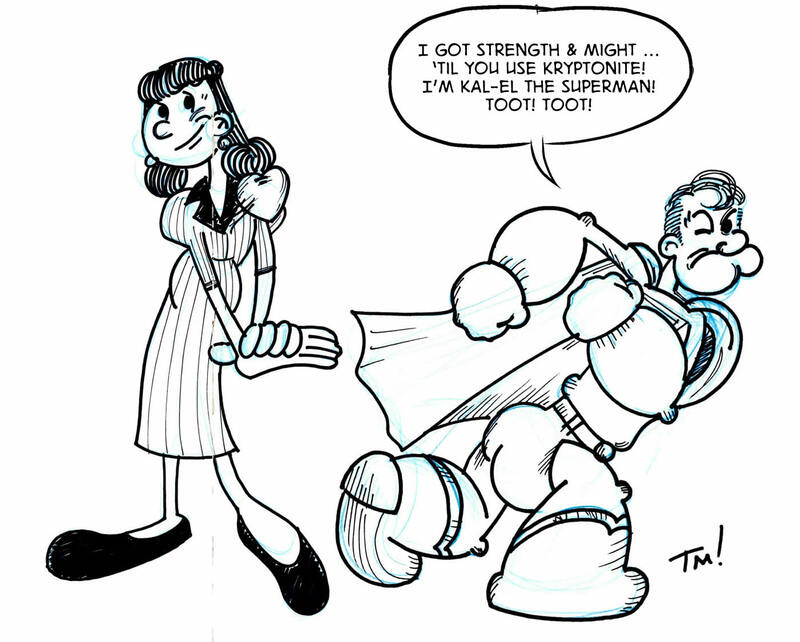 Just a few weeks ago, Grace and I sketched some fun pictures of Thor inspired by artist Polly Guo. You can see them here. 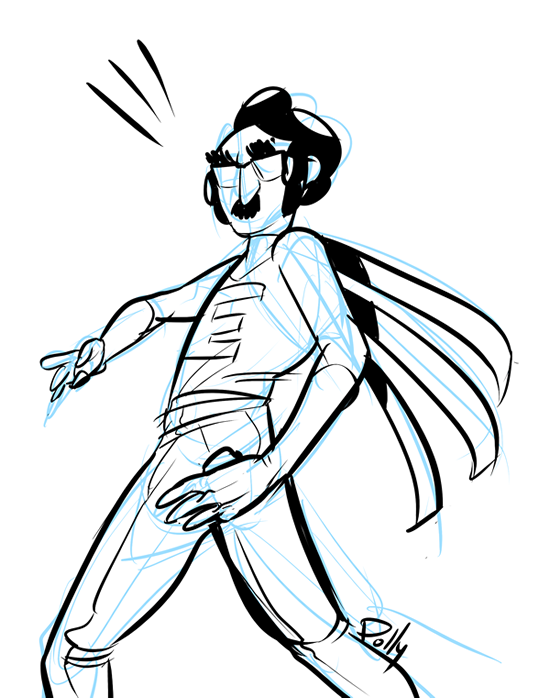 Then, Polly surprised us with an original sketch of her original character, the inestimable ESTEBAN! 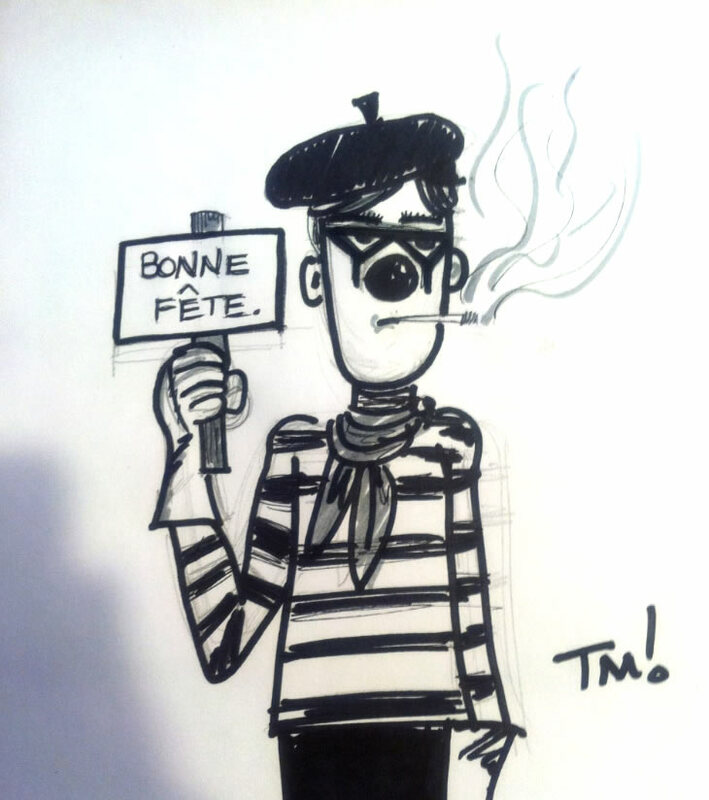 He’s fun, inventive and reminds me of Groucho Marx … which is always welcome. 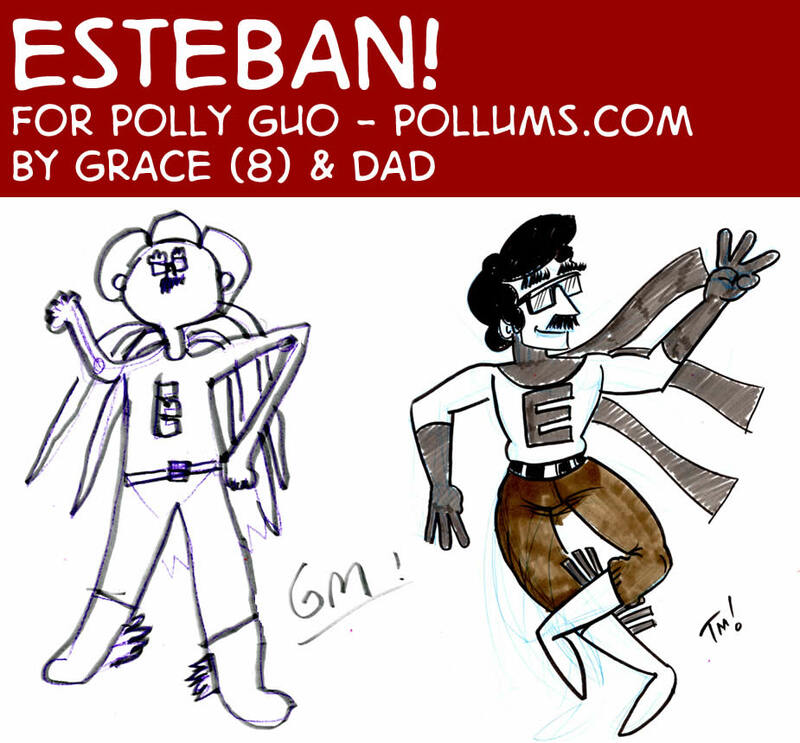 Read Polly’s Esteban strip here! Chapel Smith with Emma T. Capps! 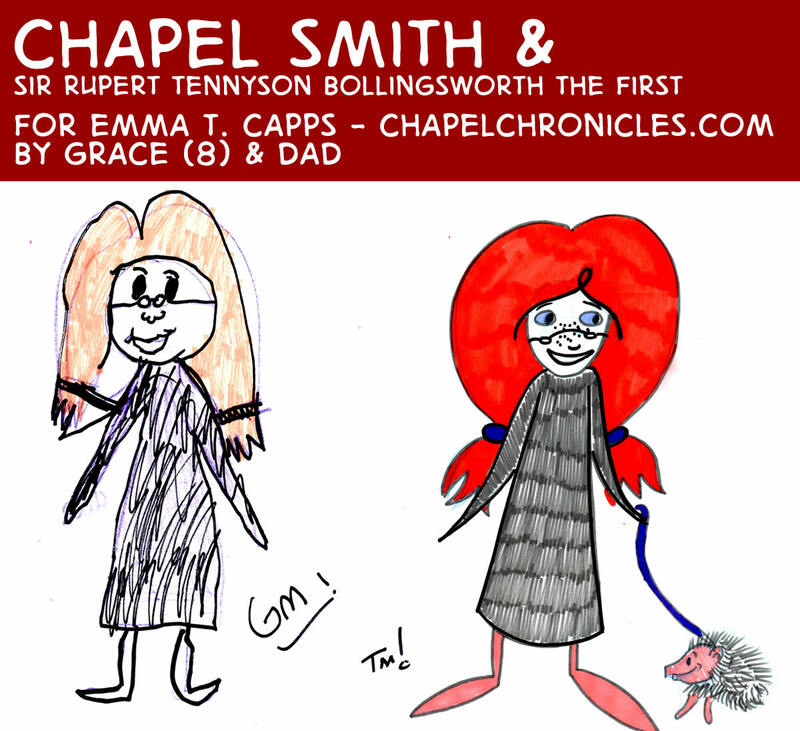 Emma graciously agreed to sketch her character, Chapel Smith, and Chapel’s pet hedgehog with Grace and me. It was an honor. We expect to see great things from Ms. Capps for many years to come and hope to meet her in person some day! And, now a word from Emma! I am sorry to say that this sketch has been on the shelf for a while. 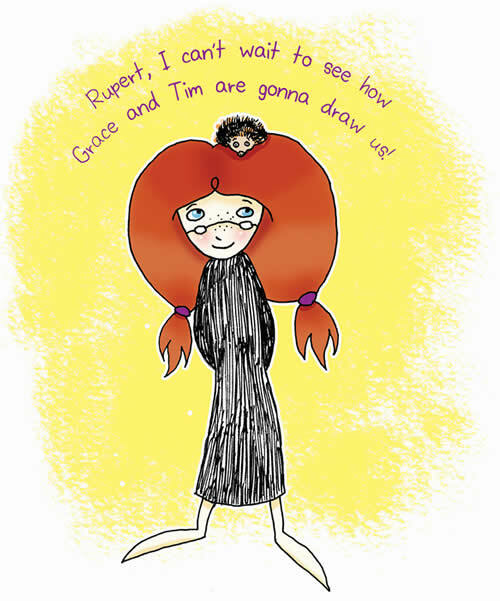 Grace and I worked on it earlier in the year … and its some of her best work … but, for some reason, it didn’t make it onto the blog. 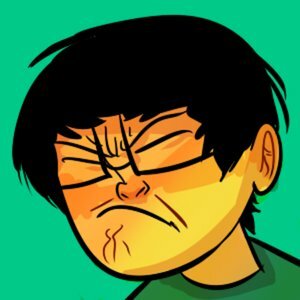 These are really fun, creative comics and I encourage you to check them out today! And, now a word from Eddie!